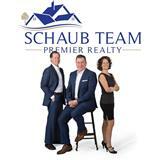 Schaub Team Premier Realty is committed to building long lasting relationships with you to better understand your needs. We are proud to work with the following business partners to ensure the buying and selling process is a smooth one. We pledge to provide the best service in the real estate industry and will assist throughout the entire transaction. A Grand Rapids native, Jamie Jewell began her career in northern Michigan at The Homestead as an intern while completing her BS in Hospitality from Grand Valley State University. Upon graduating, Jamie accepted management responsibilities that ultimately lead to a roll as Vice President of Sales & Marketing. 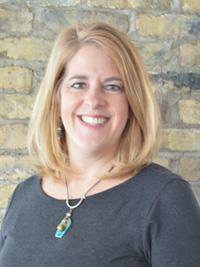 After 26 years with The Homestead, Jamie decided to apply her knowledge and experience in sales, marketing, public relations and communications to other industries. In April, 2018, Jamie joined the Schaub Team to assist with marketing their brokerage and support the relationship management to ensure Schaub Team remains #1 Real Estate team in Leelanau County. Jamie and her husband Dale revel in the unique treasures of Leelanau in all seasons. When not working they can be found exploring any one of the many towns throughout the peninsula, enjoying the beaches of Lake Michigan in summer, and snowshoeing or skiing in winter. They have one daughter, Hanna, who is currently attending Michigan State University.